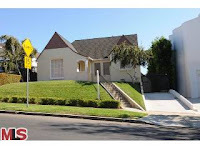 This south of Wilshire Westwood home at 10674 Rochester Ave., LA CA 90024 received a price reduction of 2.35% or $30,000 , down to $1,249,000. The property was listed on 10/06/09 for $1,279,000 and now has been on the market 48 days. The property has been off an on the market since 9/18/09, when it started with a list price of $1,595,000. The property was last purchased in 2004 for $1,150,000. I believe this biggest reason this property has taken so long to sell is the list price. Starting at $1.595k hurt the sale of this property and they have been chasing the market down ever since. The house is a decent square footage, has some charm, is livable, and is in a nice location. According to the MLS, the home is a 3 bedroom / 1.5 bath, 1,656 sq ft on a 6,500 sq ft lot.